If the clock and calendar integration in the taskbar isn't your thing, then this article will show you how to remove the Agenda section from the clock flyout on Windows 10. In the Anniversary Update for Windows 10, Microsoft introduced a slew of new features and improvements to refine and make the user experience a little more complete and secure. For example, in this feature update, the taskbar includes a number of tweaks, and in particular the ability to see your daily event from the clock flyout. The new feature is called Agenda, and it's a section that you can easily use on Windows 10 to check your daily schedules that you have configured in the Calendar app. Within the Agenda section, you can click an event to view all the details, or click the "+" button to create a new event in the Calendar app. 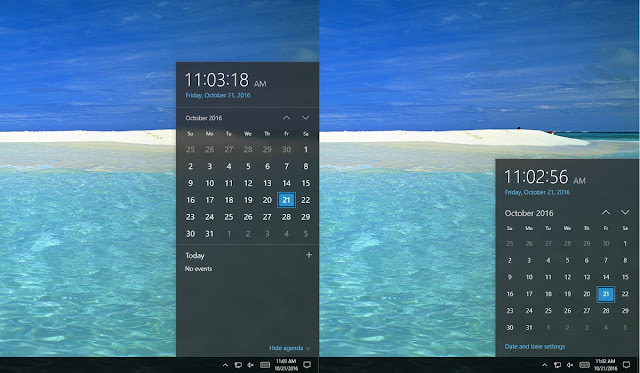 However, if you use a different calendar application that doesn't take advantage of this feature, or you simply don't use a calendar, Windows 10 provides a way to remove it from the clock flyout. In this Windows 10 guide, we'll walk you through the steps to completely remove the Agenda section from the clock flyout. 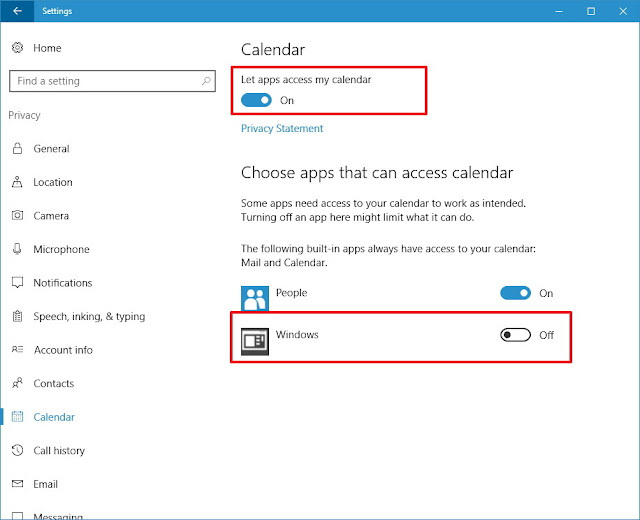 Under "Choose apps that can access the calendar," turn off the toggle switch for the Windows option to complete the task. Once you completed the steps, when you open the clock flyout, you'll no longer see the Agenda section. Alternatively, you can turn off the Let apps access my calendar to get the same results, but you'll also be preventing other apps from accessing your calendar. If you don't want to see the new Agenda section, but you don't want to disable it either, you can open the clock flyout and click the Hide agenda option in the bottom-right corner.